Hamilton is regarded as one of New Zealand’s most dynamically growing cities with a diverse cultural mix and a surprisingly eclectic range of entertainment options. Situated just a 90 minute drive from Auckland, Hamilton is an excellent launching pad for exploring the varied attractions to be found in the wider Waikato region and central North Island. You’ll find big city entertainment options including a museum, zoo, highly rated public botanical garden, casino, various shopping precincts and a vibrant nightlife. There’s also an increasingly highly rated food scene developing. You’ll find quality modern dining with a variety of Asian and Mediterranean style options as well as more typical local fare. Stretching more than 425km, the Waikato River is the longest in New Zealand and runs through central Hamilton and its botanical gardens. Outdoor enthusiasts can make the most of the river’s scenery by taking the Waikato River Explorer cruise, paddling in a hired kayak, or hitting the fairways at a river-side golf course. If you’re in full out-doors mode and love casting a long line, trout fishing is also a popular activity on the river and its hydro lakes. Black water rafting is an exciting way to view the stalagmites and stalactites lit by the luminous blue glow of the famous Waitomo glow-worms. When you’re ready for some rural adventures, many take the 60-90 minute drive to the West Coast’s spectacular black sand beaches. Here you can check out some of New Zealand’s best surf at the bohemian town of Raglan, or drive a little further for a soak at Kawhia Hot Water beach. 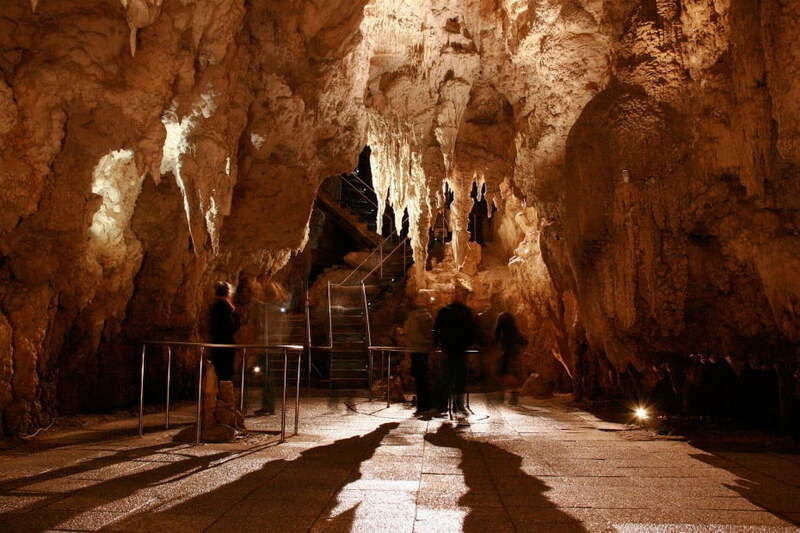 A little further inland, is the unique natural wonder that is the Waitomo Caves. Black water rafting is an exciting way to view the stalagmites and stalactites lit by the luminous blue glow of the famous Waitomo glow-worms. 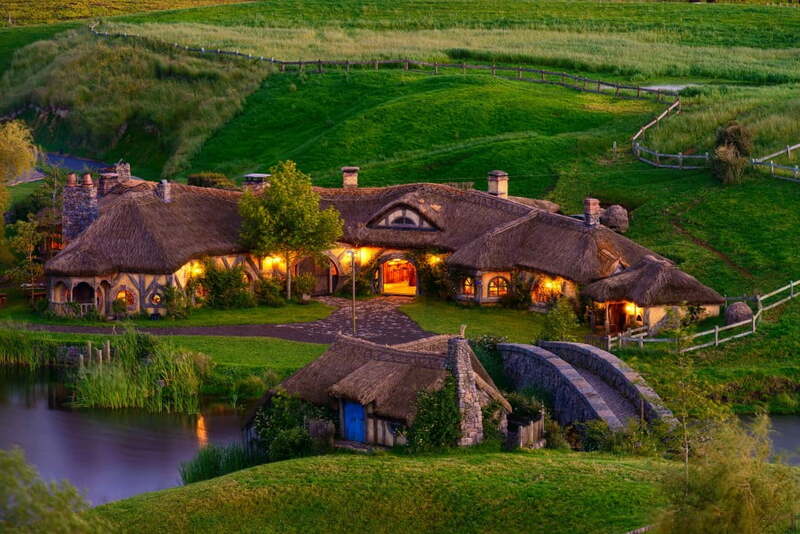 Hamilton is also a short drive from the popular Lord of the Rings movie set Hobbiton. Formerly a farm, this land is now permanently known as ‘Hobbiton’ due to the large number of scenes from the LOTR and Hobbit movies filmed here. Join guided tours of rebuilt film sets, replicated exactly as they were used during filming and you can eat LOTR themed food or shop for merchandise.